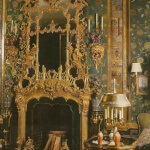 Interior Designer: LeavittWeaver, USA and Canada. 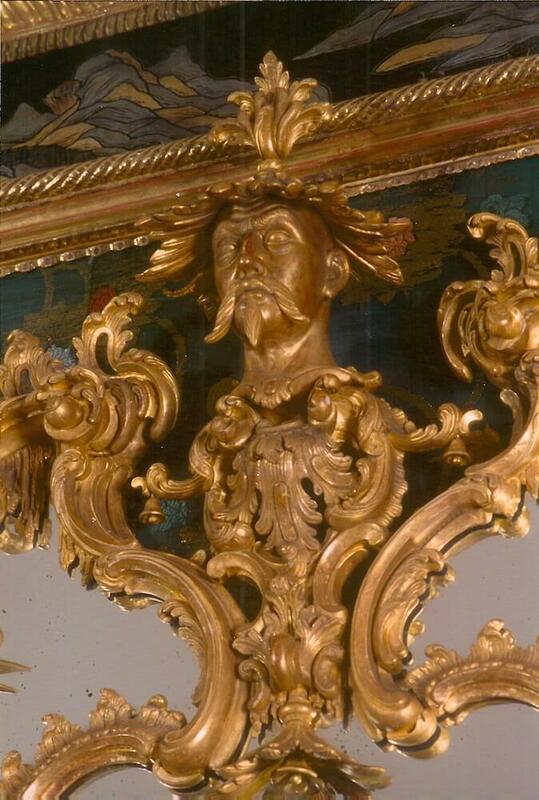 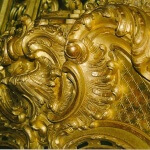 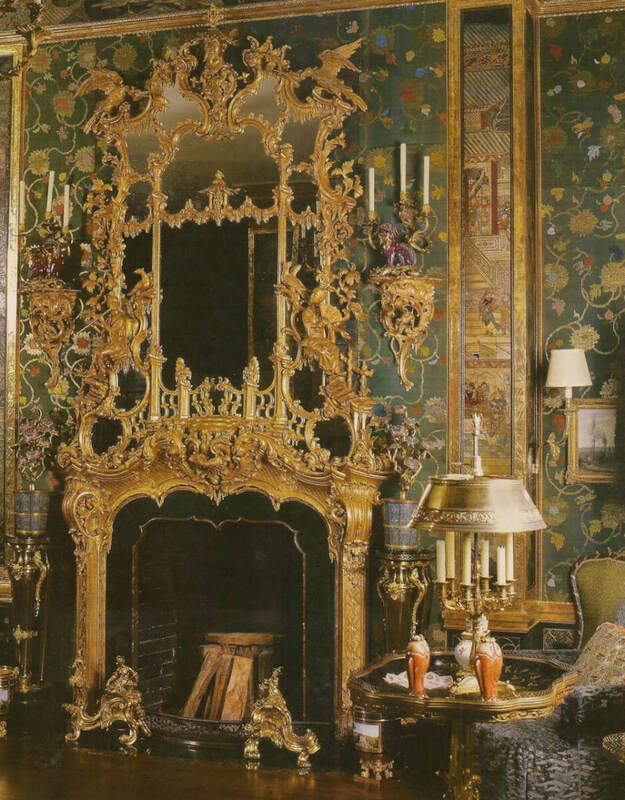 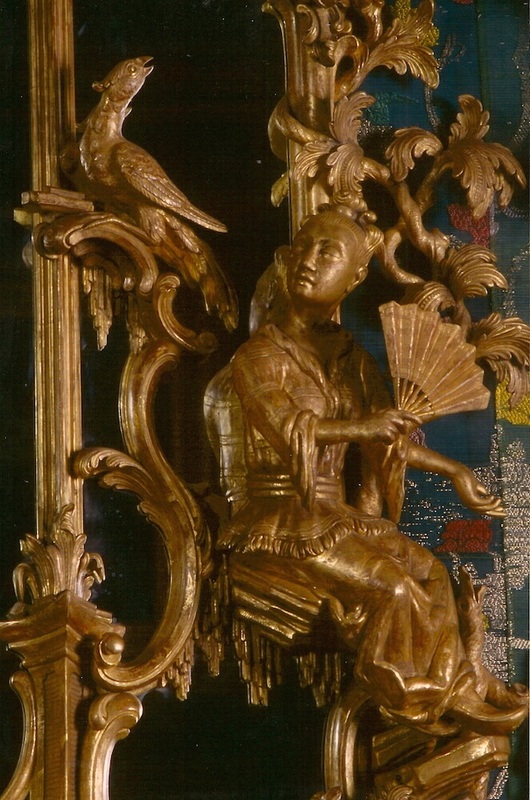 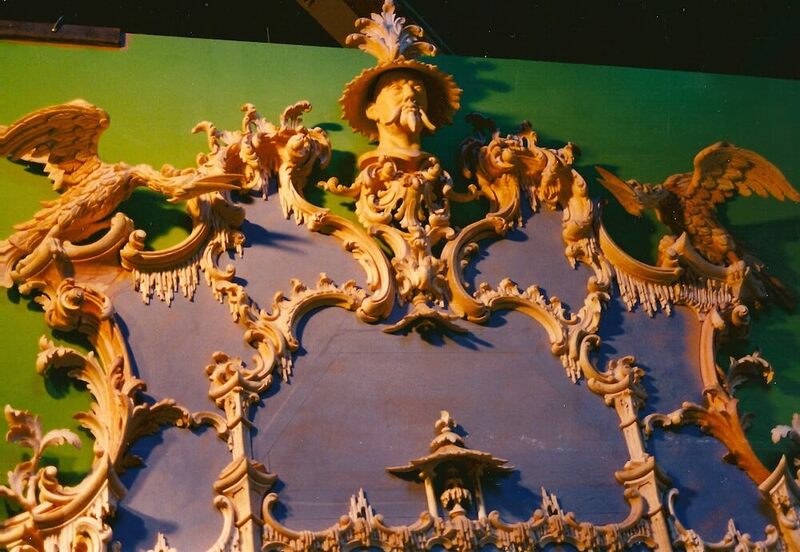 In 1994 we were awarded an extraordinary commission: to design and carve a highly elaborate 18-foot-tall English Rococo fire surround and overmantle for Gordon and Ann Getty in San Francisco. 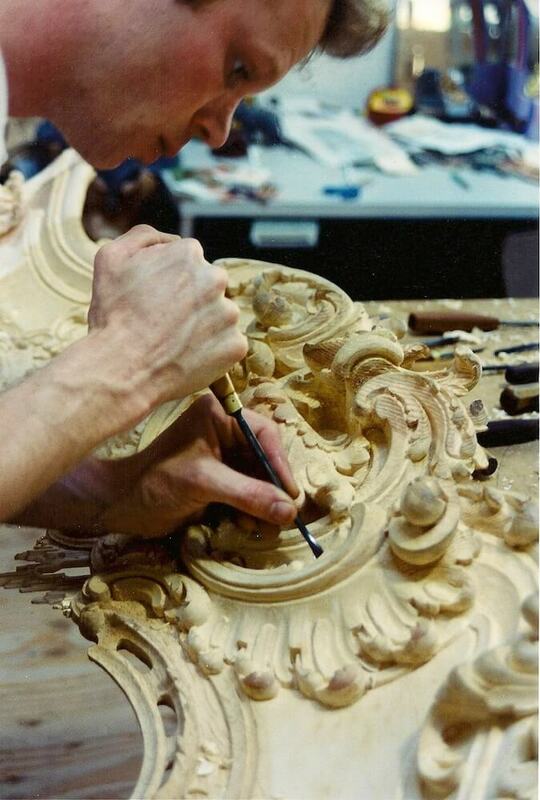 Adam Thorpe, who at the time was the youngest elected British Master Carver and our chief woodcarver, took on the challenge of turning this multifarious vision into reality. 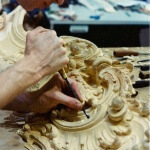 As with all our projects, Adam exclusively used hand tools to shape and model the wood. 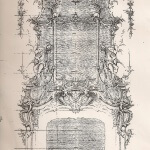 The piece began life as several distorted photocopies that had been enlarged from a tiny image pulled from a magazine. 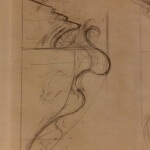 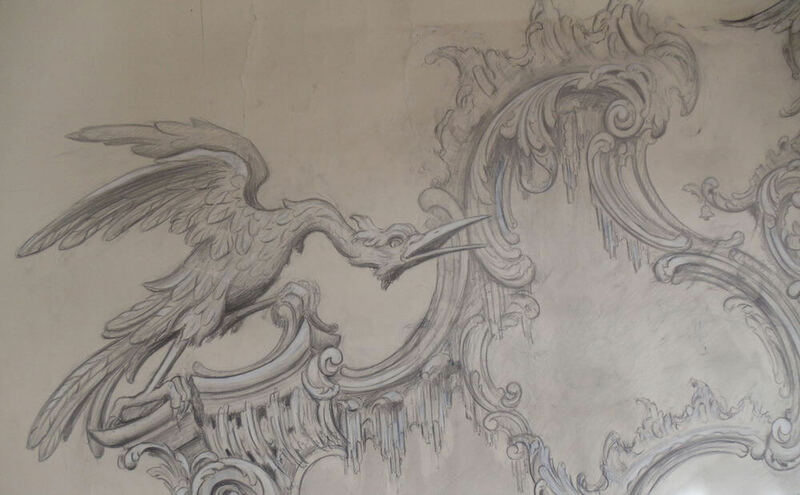 A draftsman and classical woodcarver of exceptional talent, Adam started his research by visiting London’s famous Victoria and Albert Museum, where he drew and took notes from relevant elements found in the museum’s collections. 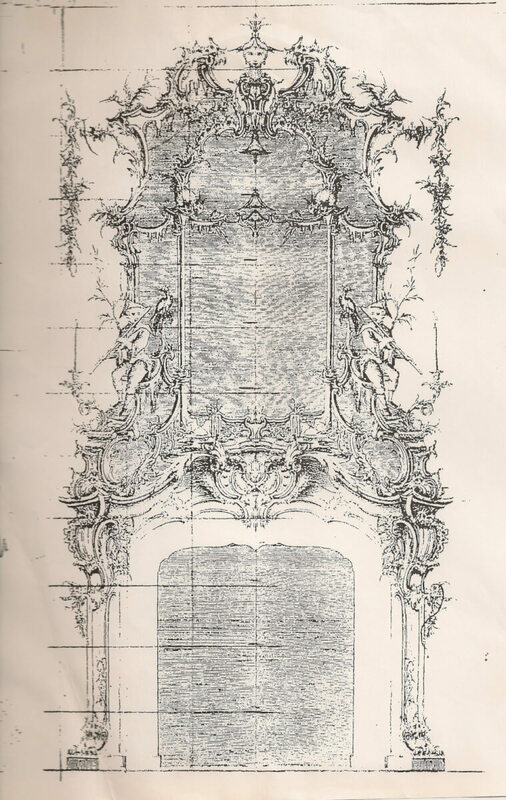 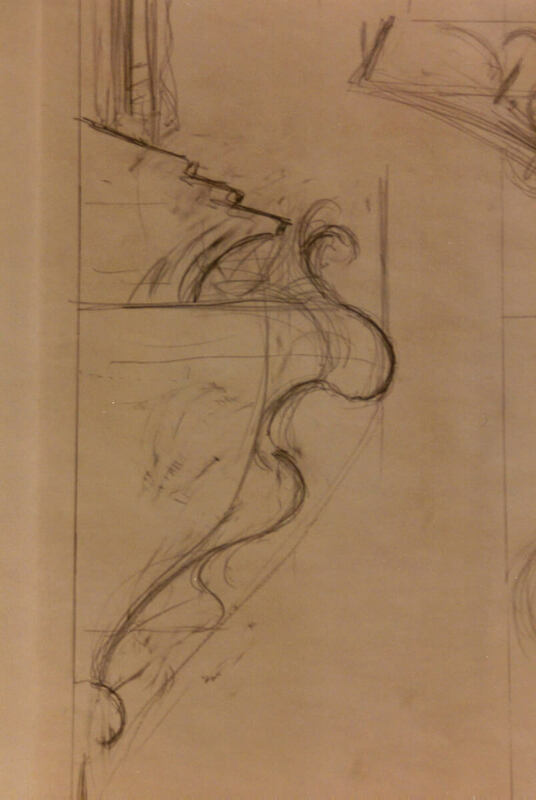 After producing full-sized drawings for the client and the designers to review, he researched how these chimney pieces were constructed and how the different parts of the mirror would be attached. 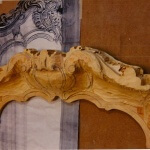 He also created a scale model out of clay to help him better understand the complex and unusual shapes. 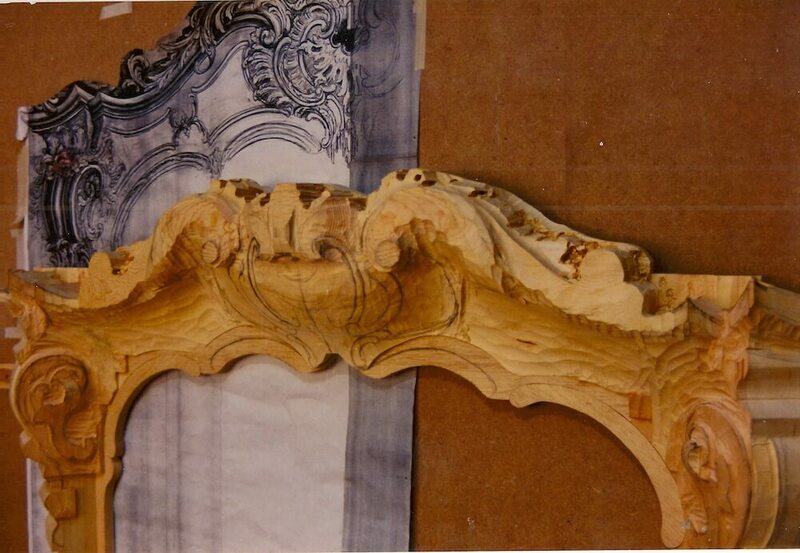 Working on private residences, where our carving expertise can turn a space into something exceptional, is always a pleasure. 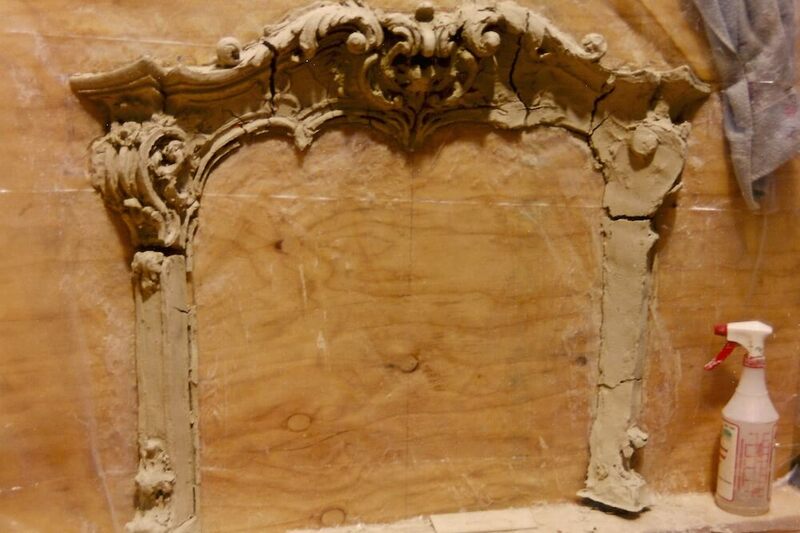 Our projects range from elaborate fire surrounds like this to delicate frames to historically faithful doorways to elegantly paneled walls and ceilings. 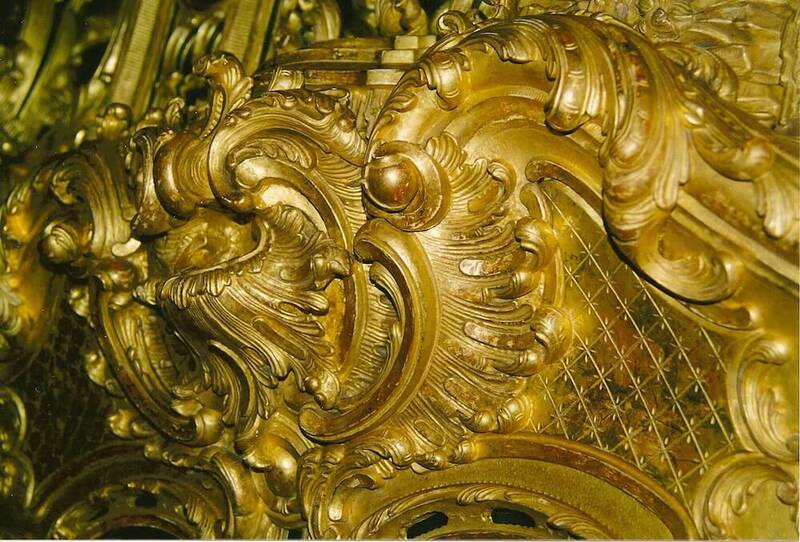 Our pieces are designed to complement the existing decor, though they often become the focal point of the room. 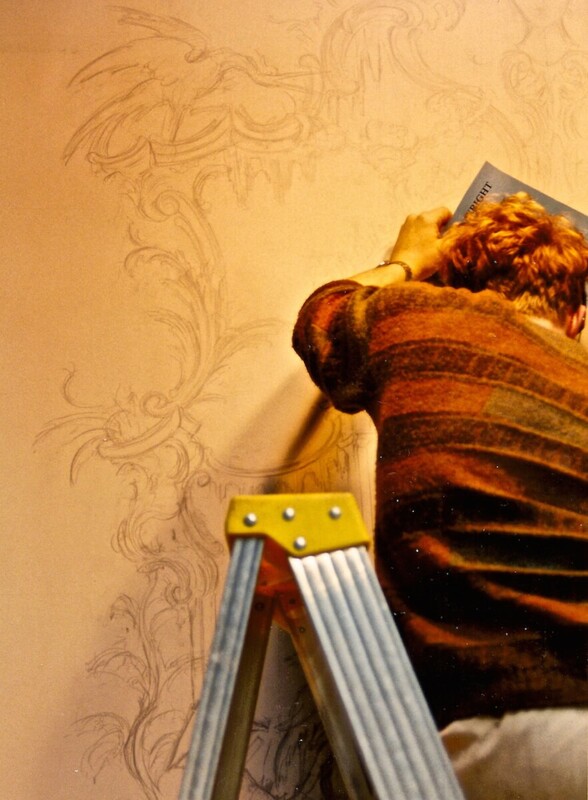 We work closely with the architect, decorator, or client on design and execution. 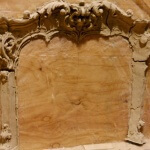 Depending on costs and logistics, we will partner with the existing mill shop on site, supplying just the carved ornamentation, or undertake the whole project by delivering both construction and carving. 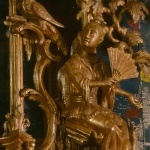 It took approximately 3,600 hours of carving and extensive water gilding to finish this project, but the result was a masterpiece of stunning beauty. 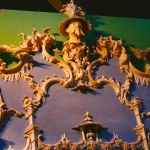 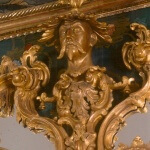 We believe it is one of the most astonishing pieces of English Rococo ever created. 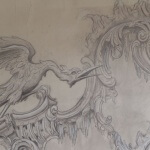 See for yourself on the gallery below.